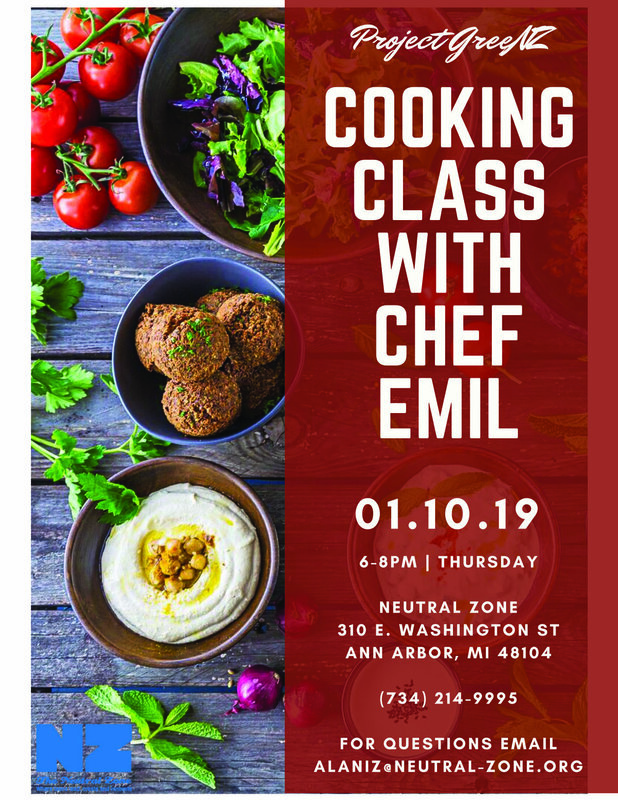 Chef Emil will teach a class in the Neutral Zone cafe on how to make mediterranean cuisine. Chef Emil Boch has over 15 years experience in the culinary field ranging from owning a catering company and working in restaurants to management, menu design, and food marketing. For Emil, cooking weaves together creativity, history, and sociology, plus transfers feelings of joy and abundance. Emil lives in Ypsilanti township with his partner Monica and their two dogs. He enjoys travel, soccer, ice skating, playing billiards and cards, and his favorite food is a NY bagel with extra cream cheese.